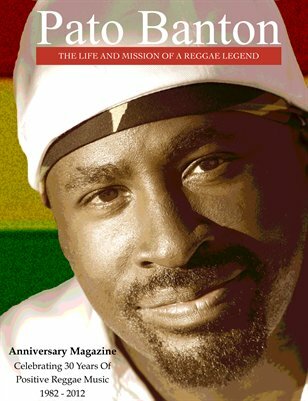 Pato Banton has created this awesome magazine to celebrate the 30th Anniversary his inspiring musical journey. This presentation expands on Pato's Biography (which was originally compiled by: Steve Hughes, Viv Taylor & Roberto Angotti) as Pato gives us an in depth look at his life story, current mission, and much, much more! The words and images go back to Pato's early childhood and map his development, from the early days on his dad's sound system, to his rise to fame as an international Reggae Legend! This magazine will give you a chance to really get to know Pato Banton on a much deeper level.